You don’t have to be rich to invest money in different ways. Anyone can save up money for investing. For those who are looking for an investment that can provide them with high returns for low initial investments, then putting money in the stock market can be a good move. There are many people who earned millions by buying and selling stocks from different companies like Shell, Petron or San Miguel. But if you are not particularly knowledgeable with these kinds of investments, there’s a chance you could lose money. To minimize the risk of losing money, you need to learn how to invest wisely. 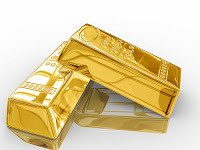 Among all investments, gold is often considered as the safest, especially during times of financial crisis. Some people buy, sell, and stock gold from online bullion companies like Bullion Vault, while others buy stocks from mining companies like Philex and Lepanto. According to Eduardo Francisco, the president of BDO Capital & Investment Corporation, investors in the Philippines don’t have any access to gold coins and bars unlike in Hong Kong. Filipinos, who want to invest in gold, are just limited into buying jewelry and investing in gold mining companies’ stocks that are listed on the Philippine Stock Exchange like Apex Mining Co., Inc., Dizon Copper-Silver Mines, Inc., and Nihao Mineral Resources International, Inc. Over time, gold-related investments are expected to be more attractive to many investors. Fifty-two percent of the global gold investment is accounted for by China and India. These countries also hold fifty-five percent of the demand for jewelry worldwide. According to the World Gold Council, because of the growing levels of economic prosperity and inflation, and approaching key gold purchasing fairs, the demand for gold will continue in the next few years. As for the production of gold in the Philippines, Mines and Geosciences Bureau predicted that the output of gold in the Philippines will rise up to 9 percent to a value seen around 77 billion pesos. Other metals are also projected to rise by double digits in the next few years. This a good news for those people who are interested in putting their money in gold.